Kendall Coyne is serving as an NBCSN analyst on Wednesday night for a Penguins-Lightning game. Coyne — a forward for the Team USA women’s hockey team — won a gold medal at the 2018 Winter Olympics, and is a five-time IIHF world champion. And she recently became the first woman to compete in the NHL All-Star Skills Competition. It’s safe to say that Coyne really, really knows hockey. Ridiculous. 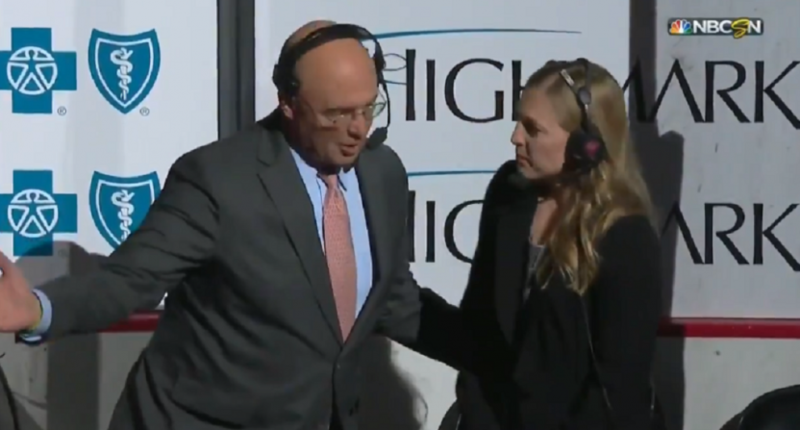 Thanks for mansplaining the very basics of the game to Coyne like she’s a four-year-old (and not a gold medalist hockey star), Pierre.